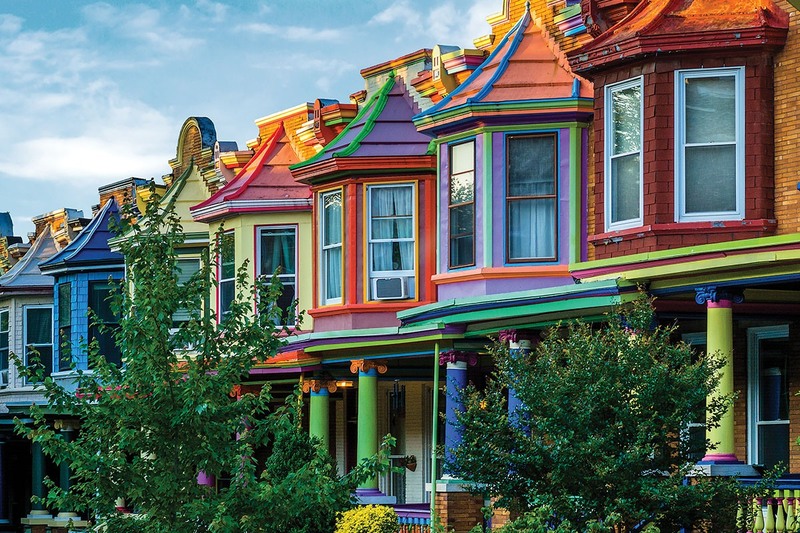 For the greater Baltimore real estate scene, it’s almost a Goldilocks moment: The market’s not too hot and not too cold—it’s just about right. Consider that the economy has strengthened, most regions are near full employment, interest rates are still historically low, and housing inventory is shrinking (pay no mind to that skittish stock market). 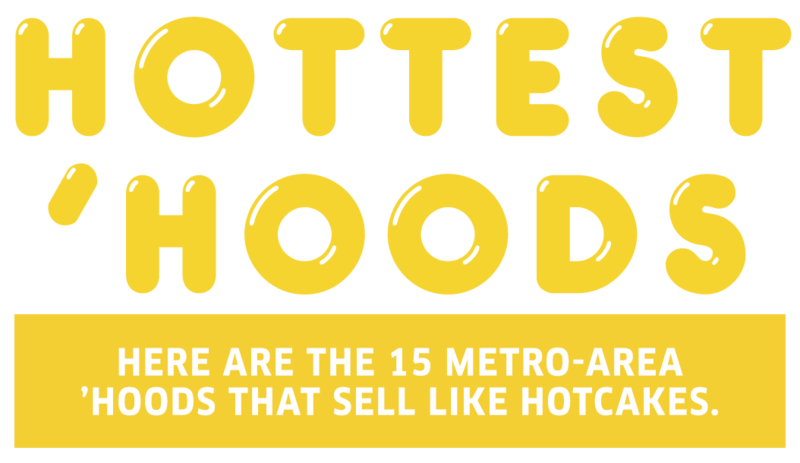 But for some neighborhoods, the market is even better—if you’re a seller, that is. Those are the communities in the most demand, where the "For Sale" sign often says “Under Contract” in just days, not weeks or months. And the speed at which properties sell in these neighborhoods has substantially increased in the past year. We went looking for those especially hot housing enclaves and found plenty of them, in the city as well as all the surrounding counties. You’ll see some familiar ones here, but also some that may surprise you. Bottom line: The average number of days on market (DOM) for all of these neighborhoods is less than 30 days, versus the metro-area average of 71. Want in? You’ll have to move fast. The good news, though, is if you win the bidding war, you’ll probably have no problem selling it down the road, and for a decent price. This part of town suffers a (somewhat deserved) reputation for often devilish parking challenges, but there’s a lot going for it, too: abundant restaurants and bars, shopping, walkability, the water taxi, harborfront promenades and parks, and amusing distractions including the American Visionary Art Museum, the Baltimore Museum of Industry, and the Maryland Science Center. 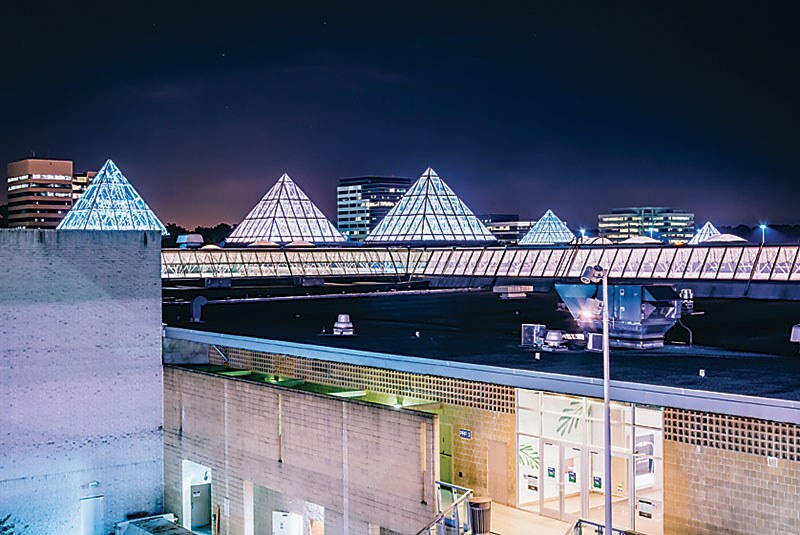 And the housing choices couldn’t be greater, from charming, creaky, turn-of-the-last-century row homes with rooftop decks to glassy, multi-story condos and high-end rentals with sweeping water views, indoor pools, and concierge services. 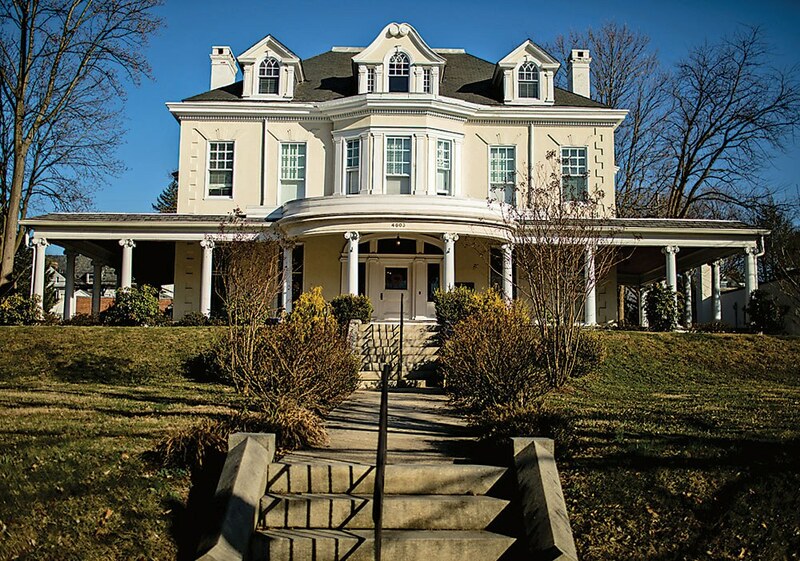 Conceived at the turn of the last century by the Roland Park Co. as a quiet, tree-lined, exclusive refuge from the bustle of Baltimore’s business district, Roland Park has retained that character over the years—but, now, fortunately, without any of the racial and religious housing discrimination that defined the early histories of so many high-end communities. 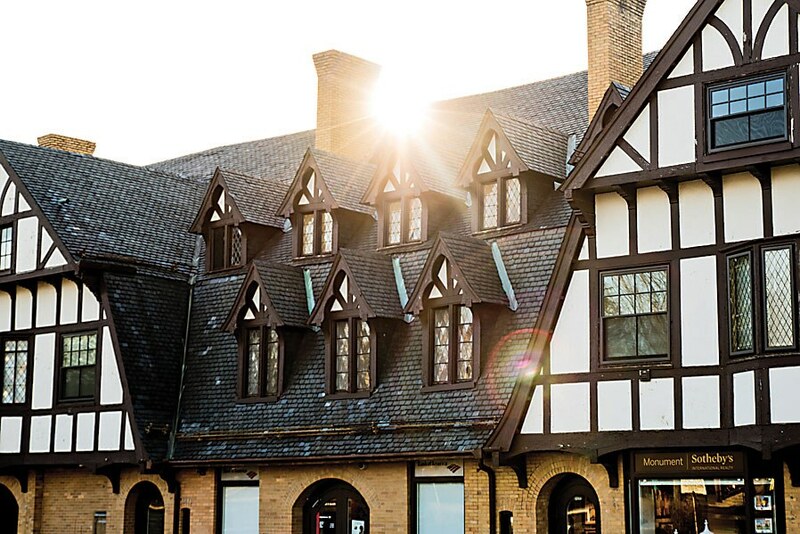 Today, the variety of homes, the walkable neighborhoods with their markets, restaurants and shops, and the Olmsted-designed landscapes—as well as its well-preserved good looks and sense of community—have kept the neighborhood in high demand. It also has one of the city’s highest-rated public schools, as well as a gaggle of exclusive private schools. Sharon Byrd’s job in finance has landed her in many U.S. cities. In all of her relocations, however, she’s never found a neighborhood quite like Mt. Washington. 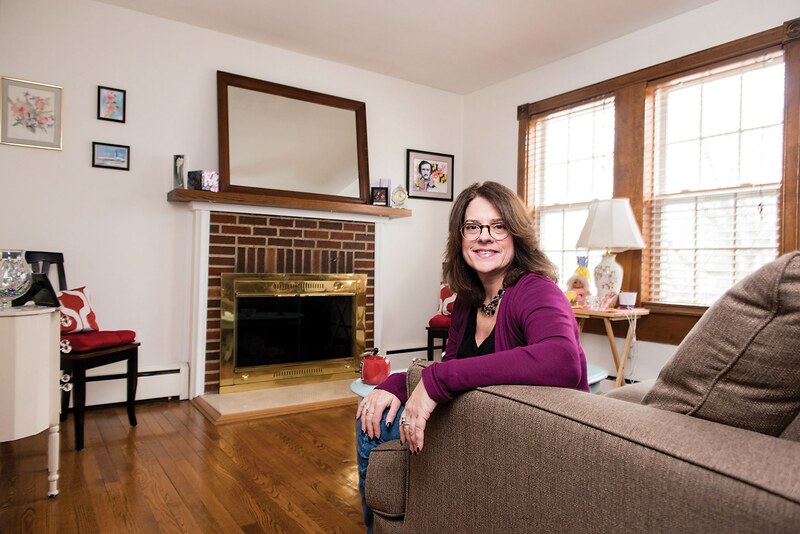 “I’ve long had a passion for old home construction and homes with good bones,” says the 52 year old, who moved to Baltimore from Indianapolis with her youngest daughter, who's now in college. Byrd bought a circa-1920 traditional home with charming details: a big fireplace, crown molding, and wood floors. She enjoys the natural beauty and wildlife in Mt. Washington, which exists alongside the walkability and ambiance of an urban community in a central location with access to the light rail. 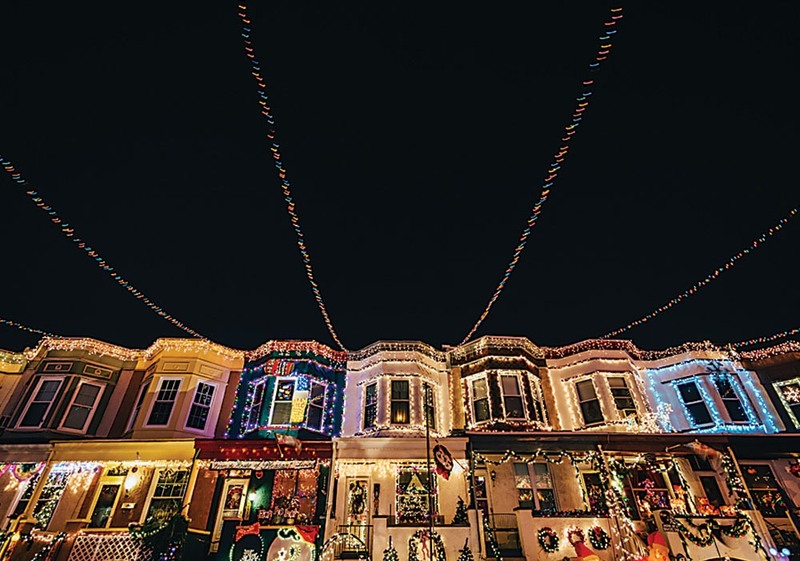 “My house is cozy, and I think that word fits many houses in the neighborhood,” she says. Her home overlooks Mt. Washington Village, and she jokes that going up and down the hill is a great source of exercise. She raves about the bread at Ethel’s Creole Kitchen and the crepes at Le Bistro du Village. La Chic Boutique acccesorized her daughter for prom, and she patronizes Ojas for massages and the occasional yoga class. Many business owners live in the area, and Byrd says there’s a real commitment to support those businesses. 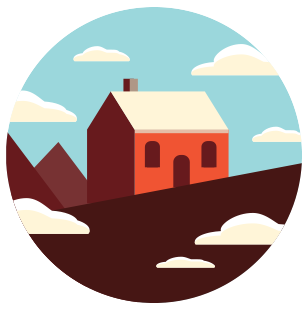 She credits an active Listserv for keeping neighbors connected. Residents can use the online community to mobilize the search for a lost dog, to give away items no longer needed—even to organize buses for community mobilization such the Women’s March. And this is definitely not the neighborhood to be caught using bee-killing pesticides on your yard. 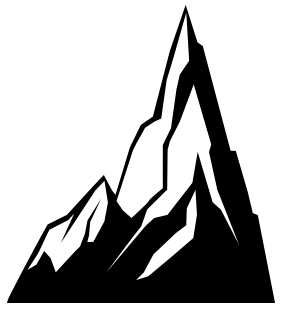 Say Woodlawn and you might think of the Social Security Administration. But there is a lot more to this neighborhood, with its streets of charming bungalows and unique neighborhoods such as the historic district of Dickeyville. 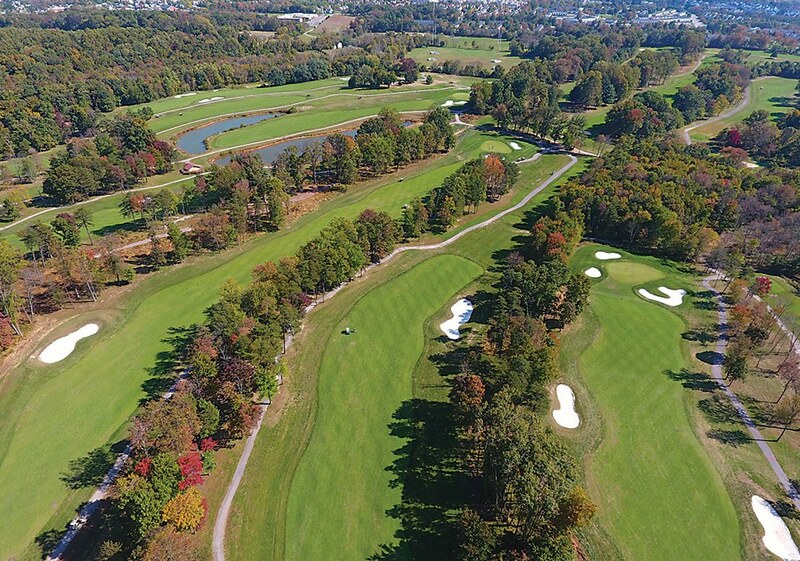 The Forest Park Golf Course and Gwynn Falls/Leakin Park (one of the country’s largest urban wildernesses) give Woodlawn natives green space within the city’s limits. When Lindsley Hirsh Yisraeli and her husband, Opher, returned to the U.S. from a stint in Tel Aviv, Israel, they wanted to live close to friends and family—and the water. While Opher was willing to forgo his beloved surfing hobby, the couple and their three children at least wanted accessible maritime recreation. Dismayed by the poor rankings of the public schools in Annapolis, they opted to buy in nearby Arnold. 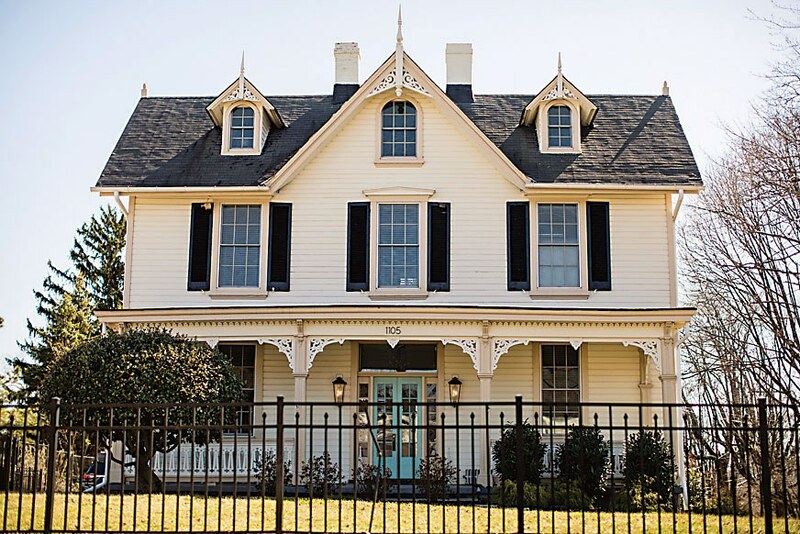 While they could not find the 19th-century historic charmer of Lindsley’s dreams (the family wanted to avoid new construction), in Arnold they found quaint, established neighborhoods with a variety of home styles, each with unique character. Their choice was a 42-year-old four-bedroom, salt-box-style house in the Ulmstead Estates community. The couple's older kids, ages 8 and 12, are thriving in the public school system (their 2 year old is in private preschool) and making friends in the kid-friendly neighborhood. Lindsley also underscores how nice it is to have great summer camp opportunities at nearby Anne Arundel Community College. 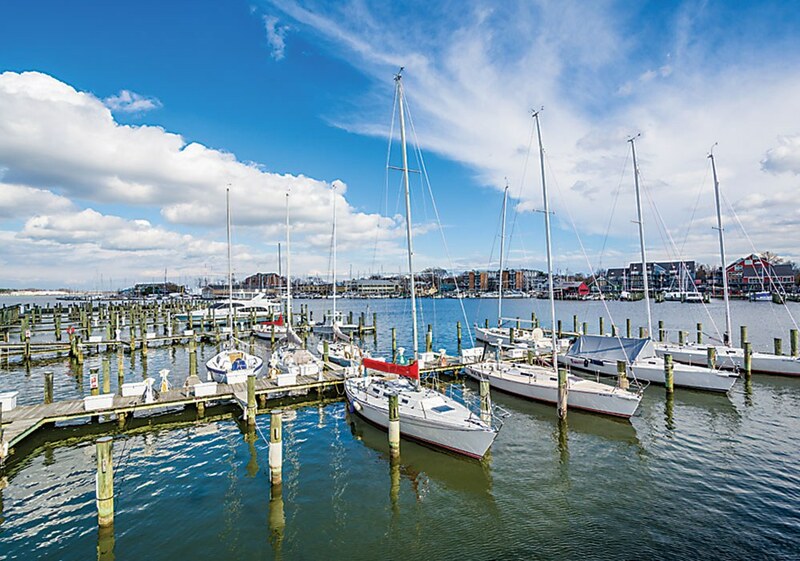 One advantage of Arnold is its close proximity to Annapolis. Lindsley drives her eldest son about 10 minutes to tennis lessons at the Naval Academy, and the family frequents the area for everything from groceries to sushi. But they don’t need to leave home if they don’t want to. 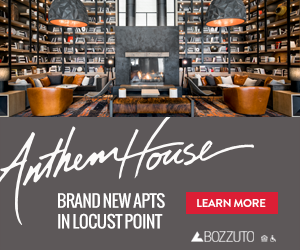 What do New Orleans, Houston, and Manhattan’s Lower East Side have in common with Bowleys Quarters, Fells Point, and the neighborhoods along the Upper Jones Falls? The answer is the threat posed by the ravages of water—and if scientists are right that climate change is raising sea levels and making weather more severe, then the frequency of flooding is only going to increase. And that, according to some real estate experts and academics, is bound to increase the value of homes on elevated tracts. One study by a researcher at Harvard’s Graduate School of Design, for instance, compared price trends to elevations over 40 years in Miami-Dade County. Jesse M. Keenan, an expert on urban development and climate adaptation, told financial news outlet MoneyWatch he sees “early signaling” of demand for properties at higher elevations because of flooding in lower areas. Of course, every new trend needs a catchy name, and this one’s called “climate gentrification”—translation: rich folk will be elevated and dry. Another academic paper by Mathew Hauer, published by the journal Nature last spring, reached even more dramatic conclusions, predicting rising sea levels could reshape the U.S. population landscape. Of course, real estate agents probably aren’t going to dwell on the bad stuff that could happen if you buy that cute bungalow in a bog on the Back River, but they’re increasingly aware of the flooding issue. And local academics are sounding the alarm. 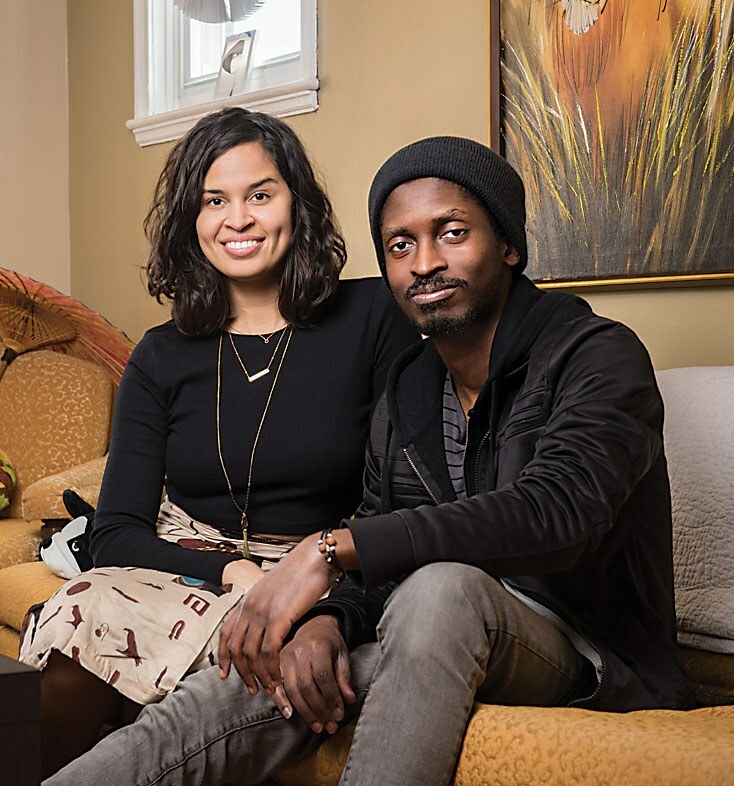 Location, location, location—that’s what drew Liz Hoffman, 28, and her husband, Robert Hime, 30, to the Woodberry/Hampden area of Baltimore City. Hime works in D.C., so they needed to be close to the train station. And though they loved the neighborhood of Mt. Vernon, where they were renting an apartment, they were priced out of buying there. 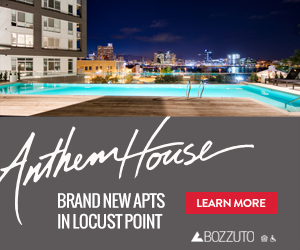 But the couple lucked into a detached four-bedroom, three-bath house in Hampden with a driveway that can accommodate four cars. Their real estate agent got them in to see it just two hours after the house was listed, and after some significant back and forth with the sellers, they moved in last August. Now settled, they’re finding that the area is a good fit for their lifestyle. There are plenty of parks for their goldendoodle to romp and many of the local shops are dog-friendly, too. With James Beard award-winning Woodberry Kitchen and trendy spots lining 34th Street, the food scene is clearly bar none and, with the opening of a Brick Bodies at The Rotunda, they even scored affordable gym memberships. Once rural, this community has expanded in recent years with the construction of new housing developments. Home prices range from near $1 million for a sweeping farm down to $200,000 or less for a townhome, though most real estate falls in the middle—freestanding homes on sizeable lots offer the convenience of a small town and the ambiance of the countryside. An added bonus: Hampstead public schools rank high in test scores. 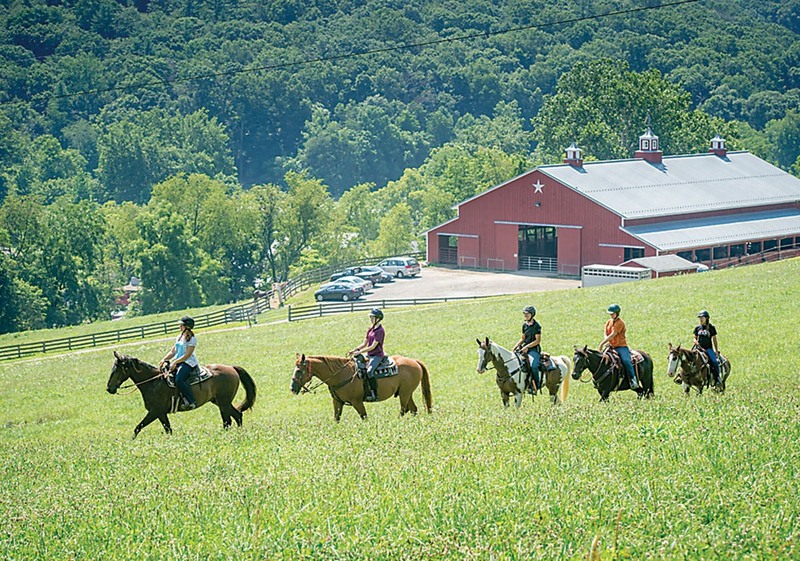 If you want to get away from it all—we’re talking 30 miles north of Baltimore—head for this historic one-time farming community in western Harford County. (You can do your shopping in beautiful downtown Bel Air, nine miles to the southeast). But don’t assume “rustic” means cheap real estate. 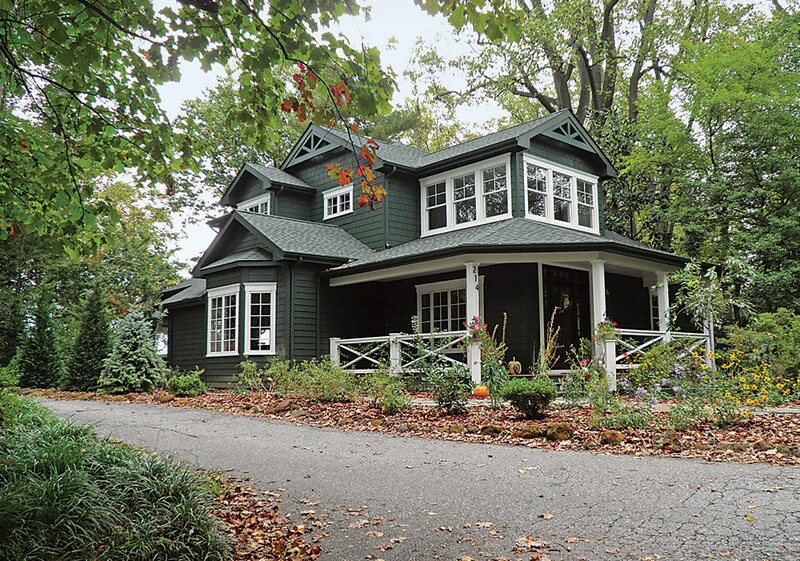 The Jarrettsville-Monkton area has many large tracts and is popular with the well-heeled set. In the same area is Rocks State Park and the 10,000-acre My Lady’s Manor, which was added to the National Register of Historic Places in 1978. With a sizeable inventory of detached homes close to I-695, Windsor Mill is seeing a bit of an upswing. 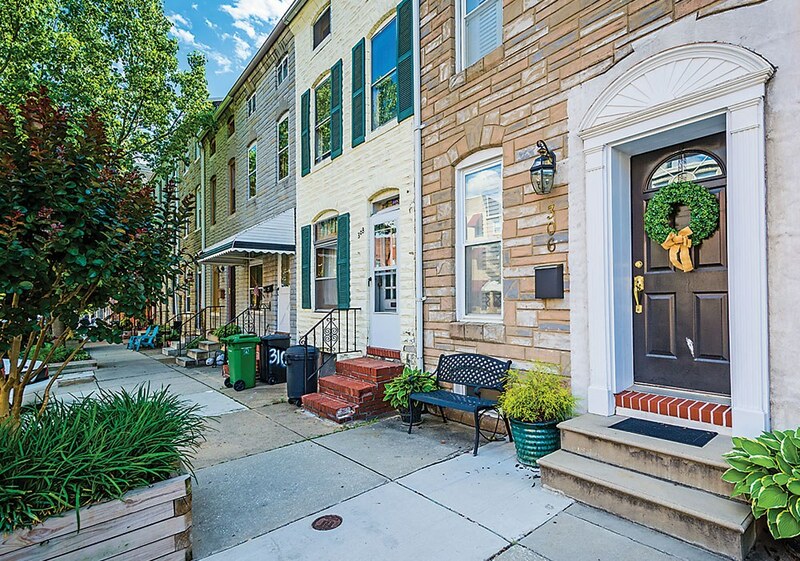 This is a solid neighborhood for those looking to get their slice of the American dream, with renovated single-family homes priced for what might get you a townhome in nearby Owings Mills. 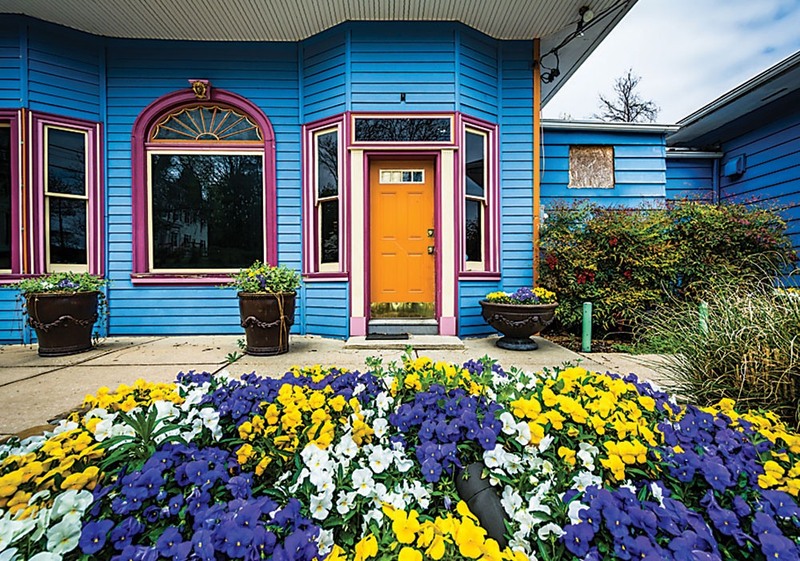 With a mix of early 20th-century architectural styles—shingle-style cottages, American Foursquares, Craftsman bunglaows—and the Woodlands Golf Course at its center, the attraction to the area and its real estate values are likely to continue to grow. 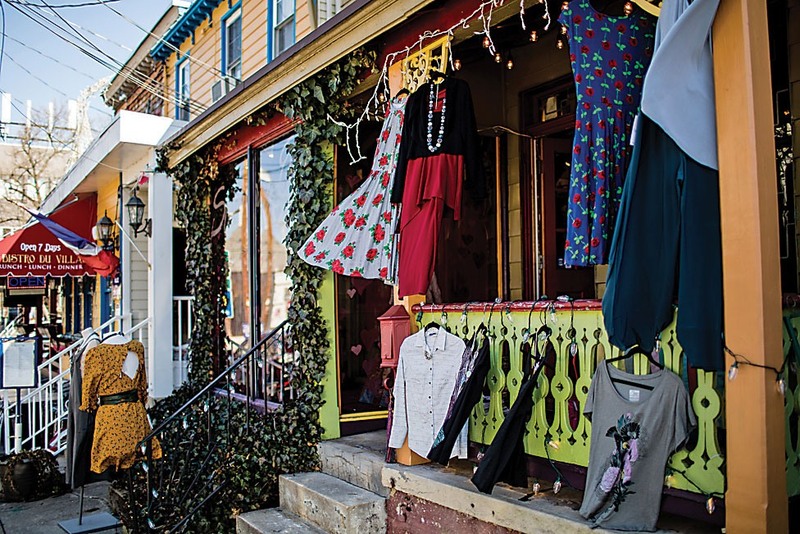 The quaint and historic downtown shopping district of this unincorporated county seat in Howard County is bouncing back from the devastation it suffered in a flash flood in 2016, and the benefits of buying here remain considerable. 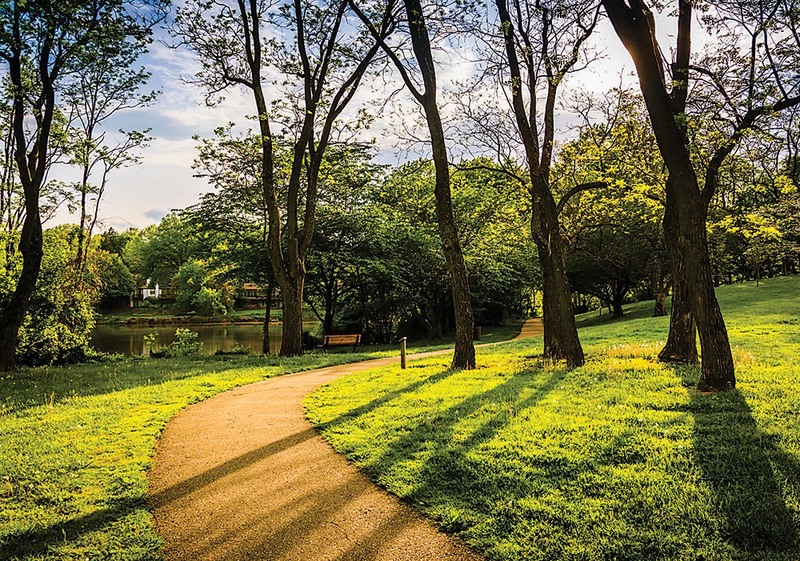 Driving home prices are award-winning schools, lots of nature in the Patapsco River Valley, a manageable commute to either Baltimore or Washington, and a wide variety of housing stock. And serving the population of about 70,000 (slightly more than Towson) are plenty of stores and shopping centers. 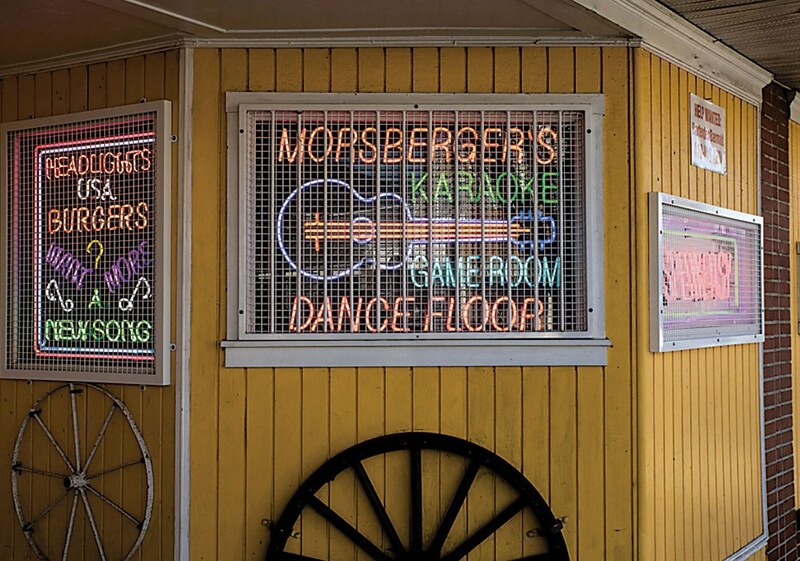 What’s a mere one square mile in area, only has about 1,000 residents, and feels like a step back in time? 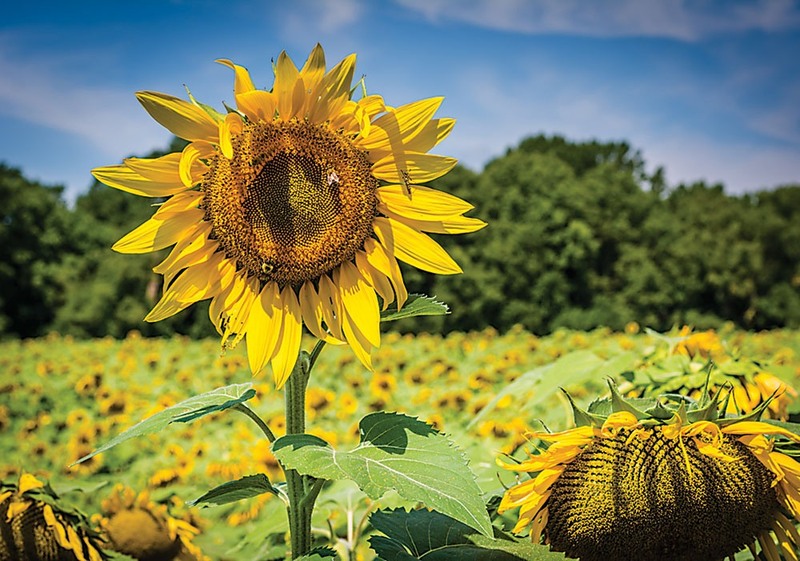 Try this tiny, historic town on the western edge of Carroll County, which is surrounded by rolling farmland, forests, and seemingly pristine streams. 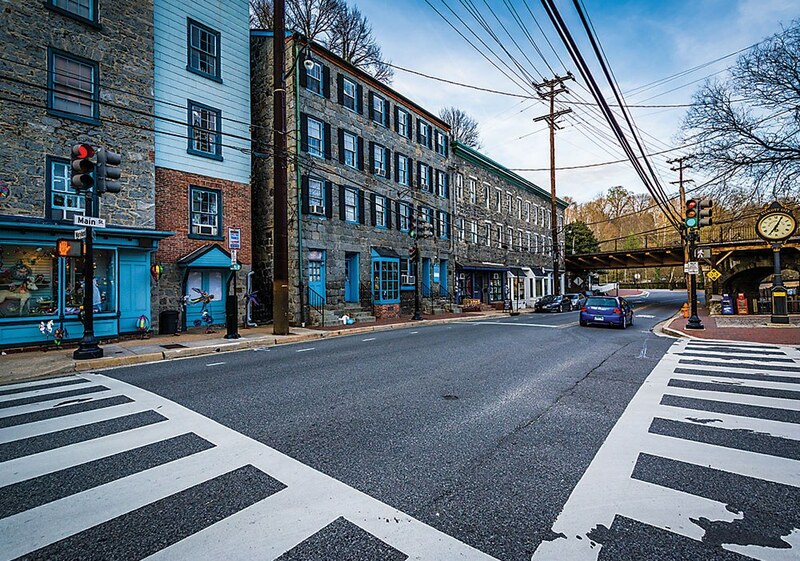 History abounds here: Founded as a farming community well before the Revolutionary War, Union Bridge was chartered by the Maryland General Assembly on May 2, 1872, and was added to the National Register of Historic Places in 1994. 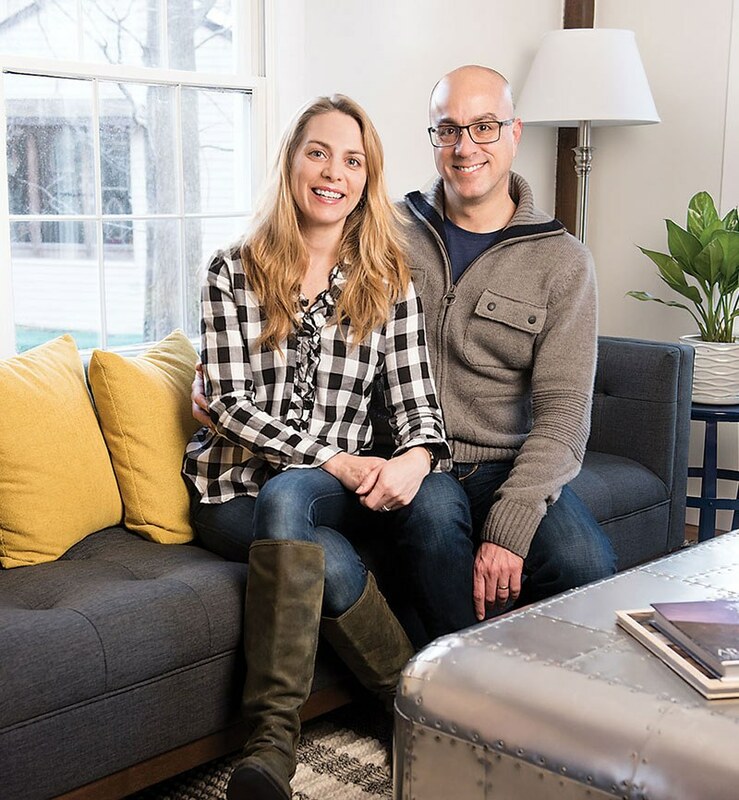 When Angie and Emilio Penaranda were shopping for their first home in 2014, they faced some competition they were unprepared for: The young couple found themselves vying against four other offers for the end-unit townhome in Crofton that they really wanted. But their Realtor, Suren Adams of Adams Realty, had a card up her sleeve: She suggested upping the asking price by $2,000, but also writing the seller a short letter about why their home was the one. Even today, crafting a cover letter seems to be a viable option for home buyers aiming to triumph in a bidding war, similar to all-cash offers and waiving contingencies, according to new data published by Redfin, a national real estate brokerage based in Seattle. After analyzing an estimated 14,000 competing offers nationwide in 2016 and 2017, Redfin tracked the effects of bidding strategies on raising a prospective buyer’s odds of success. The results? All-cash offers did reign supreme, increasing a buyer’s chance of winning by 97 percent. Coming in second was waiving a financing contingency (i.e., if you can’t get loan approval, you’re off the contractual hook), improving that chance by 58 percent. Interestingly, composing a personal note addressed to a seller ranked third, pushing the odds by 52 percent. The notes are even more of a lucky charm than they were when Redfin studied the same data in 2013, when letters only boosted an offer’s success by nine percent. For the Penarandas, the method was a success. 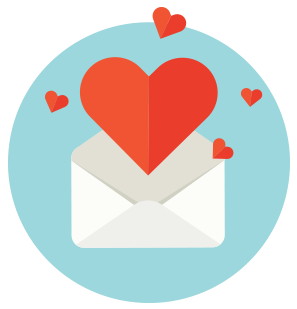 Angie penned a one-page letter—short, sweet, and to the point—writing that they were a young married couple who could envision starting a family there. She imagined how each room would be used in the next chapter of their lives—the spacious kitchen and dining room for family gatherings, the well-lit basement for an entertaining space, and the backyard for a budding vegetable garden. She guaranteed that they would continue to fill the home with lots of love, warmth, and laughter, and enclosed a photo of her and Emilio. ► Maria Morrison in her Catonsville rancher. On summer mornings in Catonsville, Maria Morrison goes to the farmer’s market early, then stops into Duesenberg’s for breakfast. Friday nights, she might pop in at a community festival. She’s also started exploring the local food co-op. 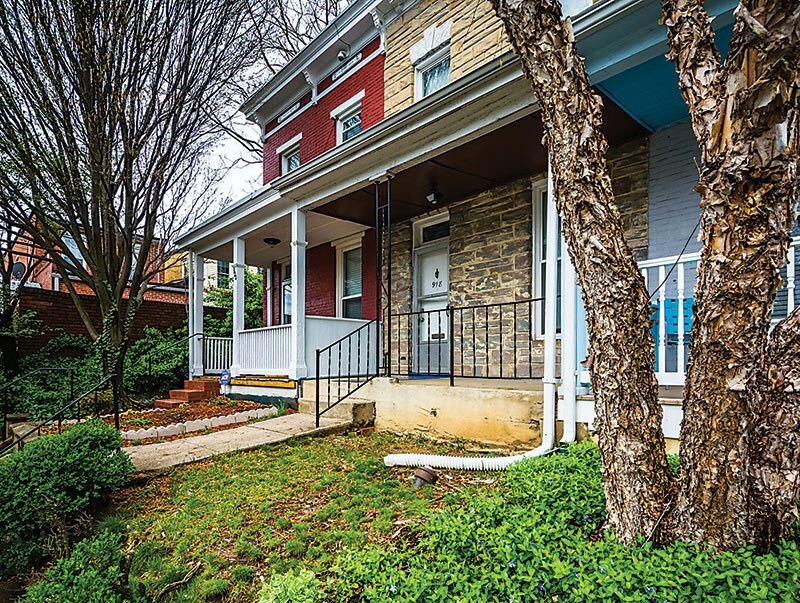 It’s that sense of community and close proximity to work and activities—as well as its architectural styles beyond the typical Colonial—that attracted Morrison to Catonsville. Morrison, 54, explains that after her divorce, she couldn’t find the home she wanted where she was living in Howard County. She wanted single-story living and a turn-key home with few projects, and she was willing to wait for it. She looked in the Catonsville area for about six months before finding her three-bedroom rancher. 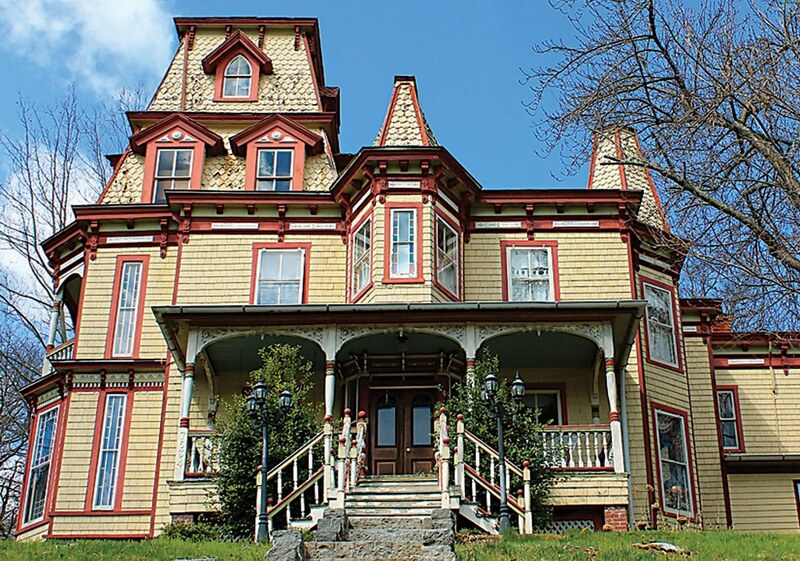 ► A Victorian home in Catonsville owned by Nick and Kellie Barrett. The house fits her lifestyle perfectly. There’s a finished basement for when her adult children visit. 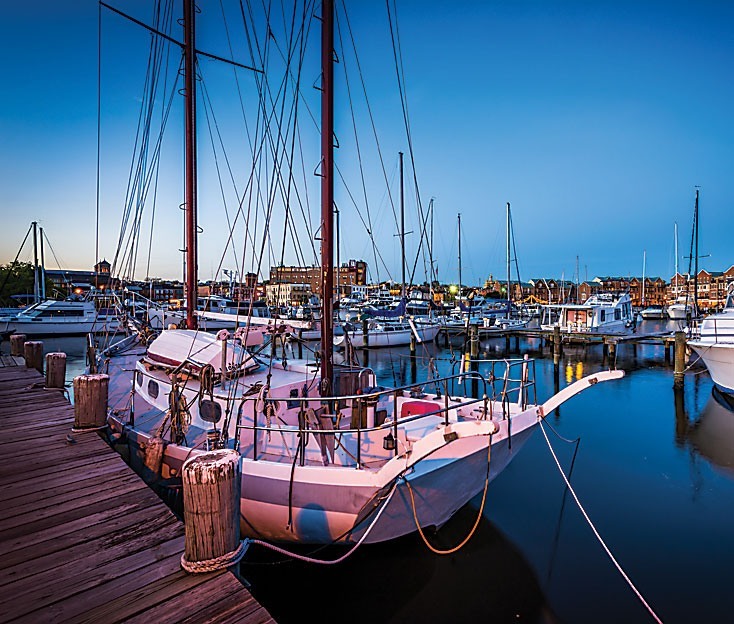 The neighborhood is lively with families, but she has found plenty of fellow empty-nesters. And she can easily commute to Howard County, where she works as a high-school English teacher. One of her favorite pastimes is walking and biking the local paths, including the Trolley Trail, which conveniently meanders by another of her favorite spots, The Breadery bakery. When she was in fulll house-hunting mode, she knew houses were moving swiftly, but she still found the buying process straightforward. 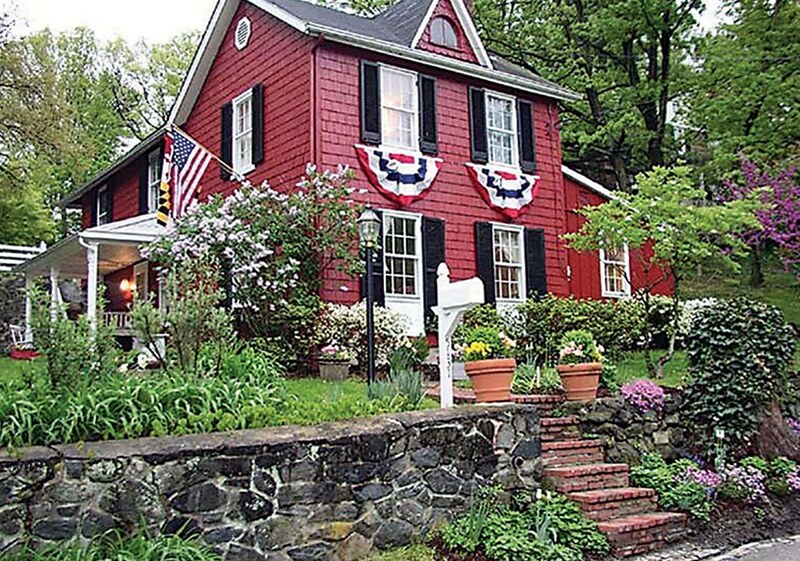 If you’re looking for your very own Mayberry, this historic community on the Patapsco might be just the ticket. 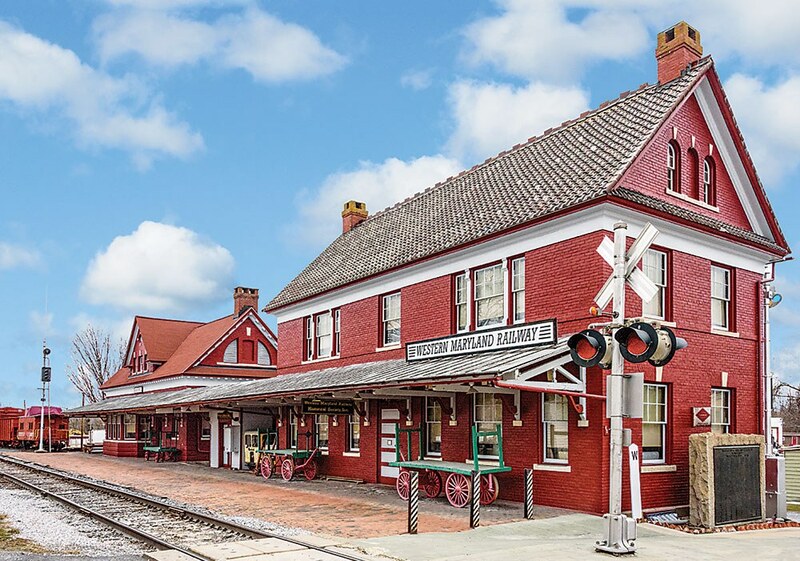 Many historical buildings have been repurposed, like the original train depot, and everything—from the friendliness of shop owners and people on the street to the low crime, decent schools, and slower pace—lends to its small-town charm. Won’t take our word for it? BudgetTravel.com named Sykesville the “Coolest Small Town in America” in 2016. So even though you’ll have to drive 20 miles to get to Baltimore, it’s worth it. This half-century-old planned community is not for lovers of historic architecture, but that certain 1960s sameness is comforting to some. 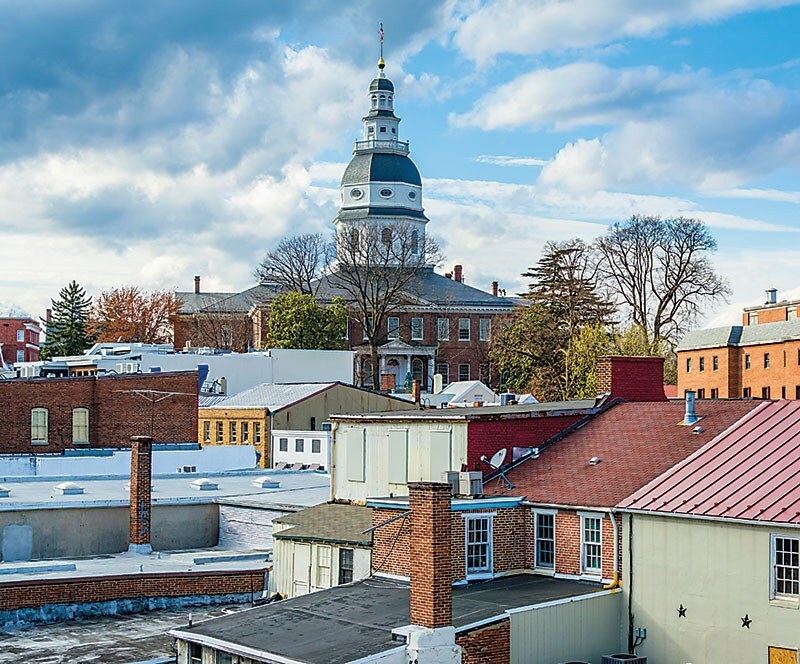 It also boasts indisputable virtues: Howard County has among the best public schools in the nation, a thriving shopping and restaurant scene, the convenience of being more or less equidistant between Baltimore and Washington, lots of green space, and three fake lakes. Of course, that’s if you can find any of that stuff: Newbies should switch on their satellite navigation, because the street layouts and road signage are a bit confusing. They’re finally breaking into the housing market, if cautiously. After graduating from college, Shana Teel returned to her bedroom at her parents’ house, where she would live for the next five years as what some might call the quintessential millennial, saving money by avoiding high rent. But it’s about time we brush aside any remaining stereotypes of lazy, mooching millennials enjoying their parents’ complementary cable TV and full fridge. People of this generation are now reaching their 30s, finding themselves in professional careers, getting married, and, yes, buying homes. But there were some factors that delayed their entry into the real estate market, including, until recently, challenging employment prospects and high student-loan debt. 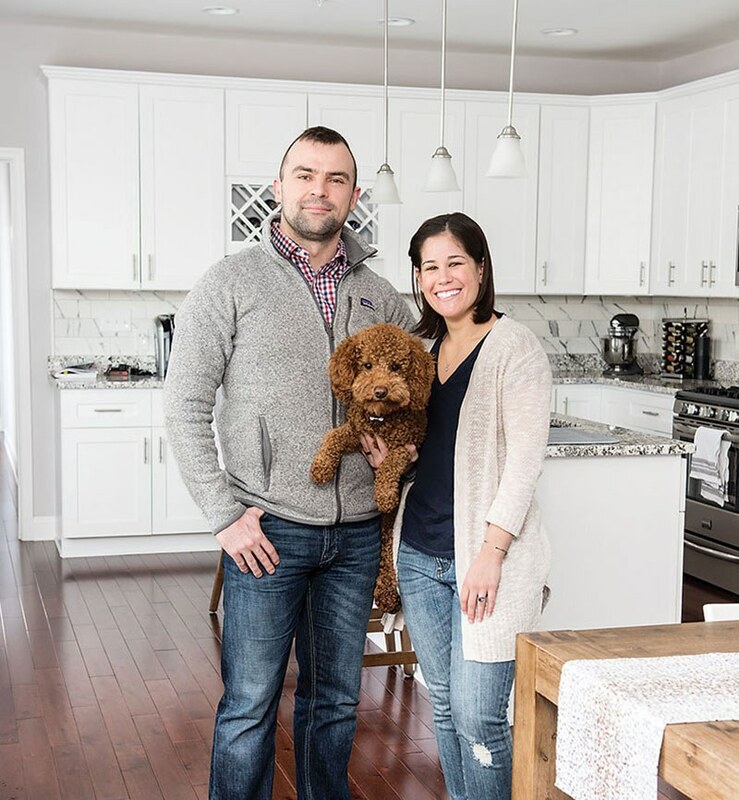 She initially wanted a single-family home but eventually expanded her options to include more affordable semi-detached houses, the style she ended up buying. 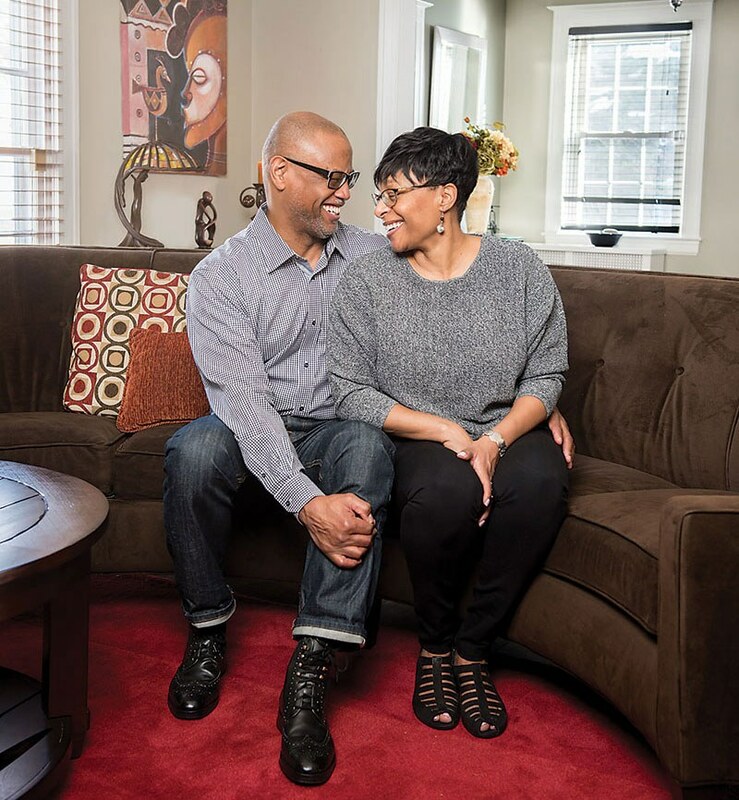 Sharing one wall with another resident was a small sacrifice, as Teel was able to get everything else she wanted: a home in the leafy Hamilton neighborhood, a short commute to her job in the city, a yard, and a quiet block. Teel’s path to home buying is fairly typical among millennials according to real estate agents in Baltimore. When it comes to financial risk, millennials are often more conservative and cautious than their parents were—and rightfully so. 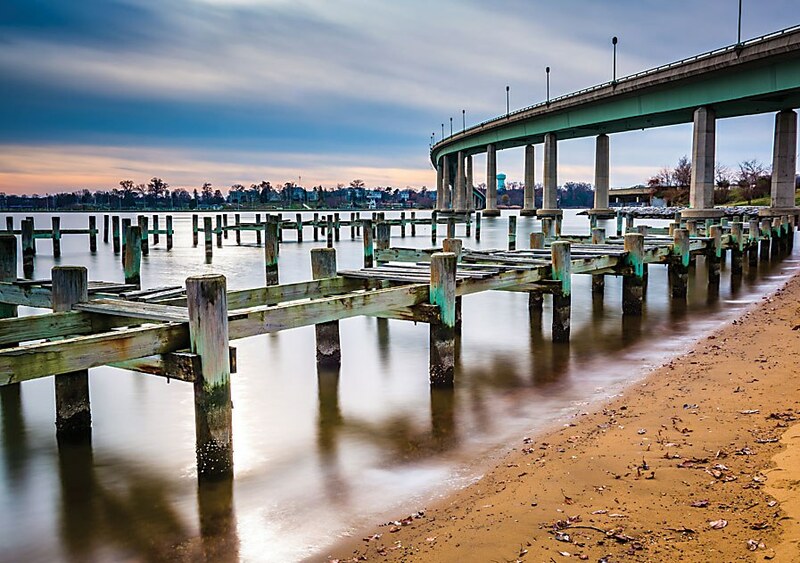 A breezy sail up the Severn River north of downtown Annapolis gets you to our number one fastest-moving neighborhood, Sherwood Forest, developed by the Sherwood Forest Club at the turn of the last century. 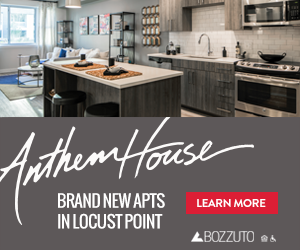 Demand in the tiny neighborhood is high because of its lifestyle—in addition to its own post office, the gated community has a pool, marina, and 9-hole golf course—and there’s not much real estate turnover. But if you’re lucky enough to land a house, don’t get creative with the exterior paint: Homes are all designed to blend into the landscape, and many sport the neighborhood’s eponymous color—Sherwood green.